Space Safety » Archive » Space on Earth » Space Policy » Was the Virgin Land Campaign only a Giant Cover-up for the Baikonour Construction? According to a post in the Friends of NASA forum on LinkedIn in December, a 2006 Russian documentary movie called Secrets of the Century: Baikonour suggested that the large 1950s Soviet agricultural campaign, known also as Raising of the Tzelina, was nothing more than an extreme cover up designed to conceal the logistically demanding construction of what is today known as Baikonour Cosmodrome. In the western media this speculation went rather unnoticed. However, Space Safety Magazine would like to bring it to the attention of our readers and perhaps gauge some opinions. Unfortunately, as no one from the Space Safety Magazine’s regular contributors speaks and understands Russian properly, we can only speculate as to what was really said or suggested in this documentary. 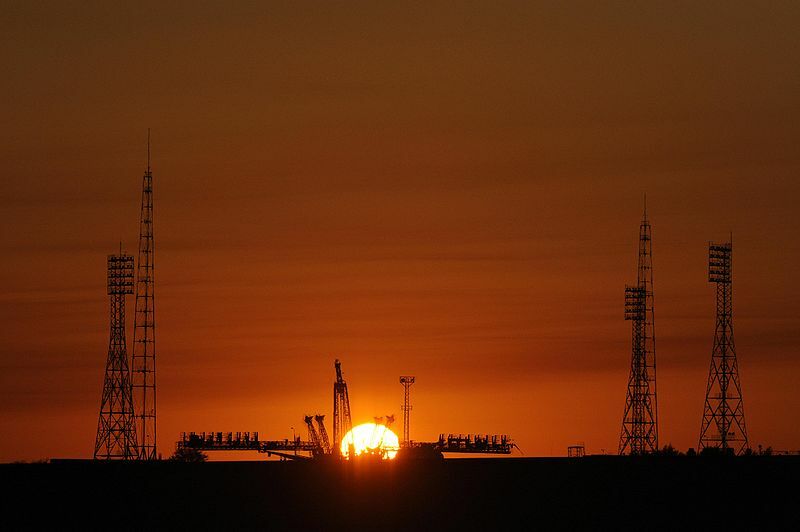 Nevertheless, there is no doubt that at the height of the cold war in the middle of the 1950s when the cosmodrome’s construction was conceived, the former USSR was willing to go great lengths to keep their military projects away from the sight of their number one enemy at the time – the USA. With no satellite surveillance available, concealing even such a large construction operation was somehow possible. Clearly, the reconnaissance airplanes were very limited and vulnerable in that regard. By the mid-1950s, Russian engineers developed long-haul ballistic missiles, potentially capable of hitting targets as far away as the much hated USA. As the existing test ranch at Kapustin Yar in the valley of Volga was located too close to inhabited areas, it was clear a new facility was needed. Several possible locations were put forward from which, at the end, the seemingly least attractive was chosen – the bleak steppe in southern Kazakhstan in the vicinity of the village of Tyuratam. The place was already connected with railway and the falling burnt rocket stages had basically no chance of damaging human settlements as there was nothing but a desert for thousands of kilometers in the direction of the foreseen launches. 50 years after the legendary launch of Yuri Gagarin, Baikonour remains the most successful space port in the world (Credits: NASA). Workers employed at the construction site were strictly prohibited from disclosing any information related to the nature or the purpose of the site. Most of them weren’t even informed what they were actually building and weren’t allowed to ask any questions. US intelligence suspected something was happening but didn’t manage to get any proof of the existence of the site until 1957 when a few aerial photographs of the facility were obtained by a reconnaissance plane. The town of Leninsk was built nearby to accommodate the personnel of the test ranch and their families. Only 40 years later, in 1995, was the town actually renamed Baikonour by the former Russian president Boris Yeltsin. Despite the 1957 launch of the first historical satellite, Sputnik, from the Kazakh cosmodrome, the Soviets still insisted on keeping the location secret. Only the enormously successful 1961 Vostok launch of Yuri Gagarin persuaded them to confirm the location of the first manned launch. Even at that time, the political representation decided to stay cryptic and referred to the cosmodrome as Baikonour, despite the fact that the original town of Baikonour lies about 350 km away from the launch site. Supposedly, their aim was to mislead their rivals. Now it appears that changing the name might have been only icing on the cake of the cover up procedures designed to keep the facility top secret as long as possible. The cosmodrome required several hundreds of kilometers of new roads and train lines to be built. In fact, till today, it remains one of the most expensive projects of the Soviet/Russian history. How is it possible the US observers didn’t notice the activity? In 1954, it was decided by then Soviet leader Nikita Khrushchev that the barren and fallow lands of northern Kazakhstan would be, together with other mostly unsuitable areas, turned into major fields providing crops for the whole USSR. The documentary suggests that the agricultural mega-project, which was considerably successful in the first years but completely failed in the long term, took place only as an elaborate cover up for the super-secret construction and transportation operations accompanying the building of the cosmodrome Baikonour. 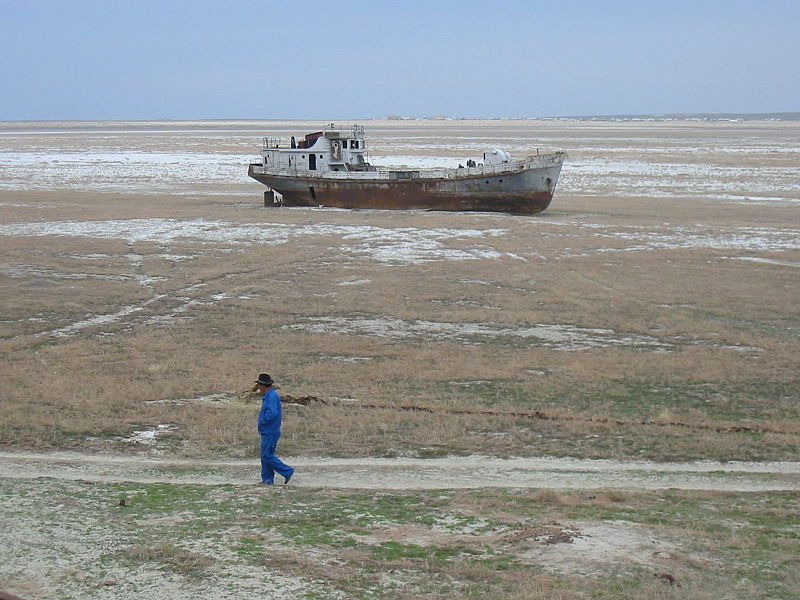 Criticized by many experts from the beginning, the Virgin Lands Campaign required such severe environmental manipulation experiments as the diversion of rivers feeding the Aral Sea, thereby initiating one of the worse man-made environmental disasters – the drying out of the Aral Sea, which ruined the whole region economically. The conspiracy theory lovers would probably find this revelation highly intriguing. What do you think? Is it possible that such a giant agricultural campaign was solely designed to cover up the construction of the cosmodrome? Or was it just a convenient coincidence with the lucky side effect of sidetracking US intelligence? Tell us your opinion, leave a comment…. Whatever the cover up, it resulted in our having a way today to return to the ISS.